Most of us spent three years living on takeaways and drinking unsafe amounts of alcohol- wasn’t it amazing? Those memories aren’t just on Facebook but are also visible on your waist line. According to British reality star Katie Hopkins, overweight people look “lazy” and “unprofessional.” Can physical appearance really impact on your job prospects? I believe it can. 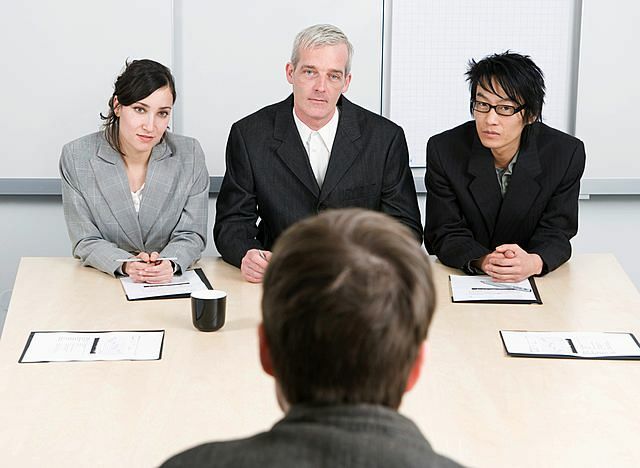 Your qualifications may get you an interview but your appearance can secure it. So it’s not just strippers and page 3 models that need to be body beautiful. It’s time to prepare yourself for the competitive world of work. Are you constantly tired and lack motivation? This could be down to your diet. As I’m sure you know, junk food lacks nutritional value and is full of nasty chemicals. Like any other addiction, the more you eat the more you crave. It’s time to over haul your lifestyle. That doesn’t mean turning into a gym bunny and only eating salads. It’s about find a lifestyle that you can sustain and that gives you energy. This will make you feel more confident and you will gain a positive mindset. You will also notice yourself losing weight with minimum effort. All the resources you need can be found online, Google is your friend. Like most people, I have a love hate relationship with exercise. This used to mean that I avoided it all together, but now I prefer little and often. Everything should be done in moderation. I like to alternate my exercise between running and Zumba. Do something that gives you energy and makes you feel alive. Most of you will end up with office based jobs and you can end up eating all day (my first week of work proves this.) Learning to maintain a healthy weight affects more then just your clothes but also gives you greater sense of well being. A goal without a time frame is just a dream. I know that you are unable to control when you will get a job. However you can control how many jobs you apply for each week. As you know job applications are long, so make sure that the jobs you are applying for are relevant to your field (this could mean taking an admin job in your chosen field and working your way up.) In the mean time it is a good idea to think about the kind of life you want (how to attract the life you want.) Do you want to a standard 9-5 or do you want flexible working hours, so that you can pursue other interests/ business ideas. This is your life and you need to have a vague direction. Once you know this, it will be easier to attract the kind of job you are looking for. What makes you difference from the next person going for the job that you want? If you know that you have a special skills or talent, highlight this in your application or job interview (How to succeed in a graduate job interview ) Don’t tell your friends the kind of jobs you are applying for or who the companies are. In the world of employment they are just another competitor. Feel free to brag about your job after you get one but not before. If you know someone who works in your chosen field, ask them if there are any jobs going. A lot of companies have vacancies but don’t advertise them. Even if nothing happens straight away, you may be kept in mind if anything comes up. The people who get jobs are usually persistent, ruthless or lucky. Give yourself the best chance. You must be physically and mentally fit, in order to compete in the job market. The people who become lazy are usually the ones who end up as another graduate statistic. Don’t let that be you. I hope you have enjoyed this blog, if you have please share it with your friends. Keep job hunting, remain strong. I recently got an intenship at a company as a creative writer. My duties included blogging, content management and search engine optimization. On my first day I was taken on a two hour course about career building which was good. In the afternoon, I went back to the office and sat at a desk- I hadn’t even been introduced to the staff and the manager ignored me. I was half heartedly given the task of writing a blog- without a topic, word length or house style. I wasn’t even writing for the company website and wasn’t told how the other website I was supposed to be writing for was connected. By late morning on the second day I decided to leave. I hated the office, the lack of direction and I still hadn’t been introduced to the manager. Although most internships are volunteer, that does not mean you should be treated badly. Here are a few tips to ensure you avoid an internship from hell. This may seem like a simple one, but so many people fail to research the company they will be working for. This means going beyond the company website and seeing what people are saying about this company. If they are a small company then there won’t have much information Online. In this case email their admin department and ask what the company does. This shows initiative and will also save you the embarrassment of having to ask on your first day. If the admin assistant is unable to tell you what the company does, in a clear and concise way be worried. 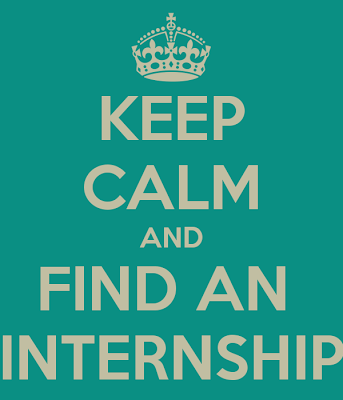 Even though you are encouraged to to internships at smaller companies, consider their creditability when applying. This is a very important one and can save you a lot of hassle and worry. I wasn’t clear about what I was suppose to be doing and this made me lack motivation. Don’t fail into the same trap. Even if your nervous make sure that your are briefed on your duties and that you understand them. How many of us have been given instructions that we don’t understand but are embarrassed to ask? This internship is about you and developing that much needed work experience, so don’t be afraid to ask questions. If like me, you find that the internship is not living up to your expectations, don’t be afraid to leave. There is no point doing something that does not benefit you. 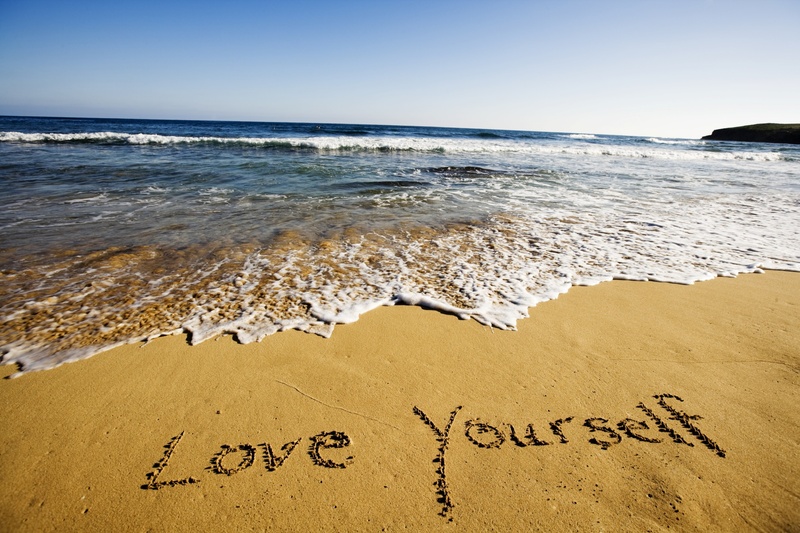 In this world you must learn to value yourself, even when other people don’t. There has been much debated on whether interns should be paid- in my opinion they should. You are offering your physical and intellectual services and this is a commodity. Many companies have a constant stream of interns, so they don’t have to pay a full time employee a proper wage. If you are deciding to take an unpaid internship, make sure that the opportunity is really valuable and that you can afford to work for free. No one can live on fresh air. If you take a paid intenship all of the above still applies but you also have to give a little bit more. If a company can afford to pay you, its likely that they can afford to keep you. Show that you are a valuable member of the team and that you are willing to learn. If that means being the assigned lunch fetcher then do it- you have to start at the bottom. Although I had a bad experience, I still feel that internships can be valuable depending on the company. Remember that your time is precious, just because your unemployed doesn’t mean you owe society anything. There are plenty of people who don’t want to work and your not one of them. Be kind to yourself in this difficult period “How to stay motivated while unemployed” and don’t give up. I have recently secured a creative writing internship, which starts in early July. 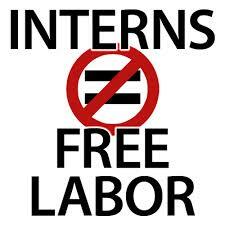 When I left university I was against internships because I believed them to be legal slavery. I mean what idiot would want to work full time for little or no pay. Then I fell into the real world and realised that all the jobs I was applying for was asking for experience. I have spent three years at university, yet I am not actually qualified to do anything. The reality is that many of us will have to do some kind of internship, so that we can get the jobs that we want. In recent years, the media have exposed the terrible internship practices within many companies and things have started to improve. So if you want to improve your job/career prospect keep reading. This may seem an obvious one, but you would be surprised at how many people don’t even know what field they want to work in. In order for the internship to be beneficial, it must be in your chosen field. If you don’t know what your interested in, then make a list of the things that you are good at. It doesn’t have to be related to your degree or any subject you have studied before. For example my ideal job would be in a publishing company. This kind of job would suit me because I could combine my two passions- reading and writing- while getting paid. The first thing I did was research smaller publishing companies, as they won’t have as many applicants. I couldn’t find an internship in a publishing company, so looked for some writing experience instead. This will look good on my CV when I apply for an editorial assistant job- The first step into the publishing world. Try and be creative. Even if you can’t get an internship in your chosen field, look for a close alternative. This internship will give you useful transferable skills- valuable work experience. They say its who you know, not what you know and that is really true. You hear about those people who get jobs with the help of family and friends. I know that sounds so easy but sometimes it is. If your know someone who works in the field that you would like to get into, ask them if they could set up an internship for you. Some companies don’t offer it, but if they have space they are likely to consider it. If you manage to get a placement through someone you know, you are ahead of the game. You have beat hundreds, possibly thousands of people who are still looking. Don’t be afraid to stretch your contacts. Ask your parents if they know anyone in your chosen field. You might just get lucky. I made the mistake of going in person to ask for an internship. This is very awkward as it felt like I was begging for a job. If that wasn’t embarrassing enough, the receptionist didn’t even look remotely interested in what I was saying. She probably threw my CV in the bin after I left. I know you may feel quirky and original going to ask for an internship in person, but most people are going to think your weird or that you don’t own a computer. When answering the online application form, try and make your answers interesting and original. You need to show that you meet the basic requirements, while still emphasising your need to develop and learn new skills. When applying online you are at a disadvantage, as you are in competition with lots of other people. Unfortunately that’s what it’s like when your applying for jobs. Don’t let one rejection put you off. Keep trying. It may be embarrassing begging in person, but its much more dignified over the phone. Phone numbers can often be found on the company website. You will usually reach a switch board and you tell the operator which department you would like to speak to. The best time to phone is in the morning, at the start of the working day. As the day progresses people become tired and are more likely to be unhelpful. While on the phone clearly introduce yourself and say that your looking for an internship. You should give a specific time period e.g two weeks, as this makes you look professional and less desperate. All the eager graduates will be giving unlimited availability, which makes them look vulnerable and willing to take anything. Finally before you get off the phone ask for the person’s name and email address. Although most people say they will contact you, they often forget. Sending a polite reminder email will show determination, and you may land that internship. www.witlr.com A website offering internships and placements for graduates. After filling out an application form, top employers can search for you. www.internwise.co.uk This website counts Amazon and Nike as one of their recruiters. This site is a personal favourite of mine because of it’s simple layout. It also allows users to choose between paid and unpaid internships. careers.guardian.co.uk/internships The Guardian website is a valuable source of information for most things, so check it frequently for jobs aswell. This link leads to some interesting articles around the internship debates.